From left, honorees Lesnie and Wexler. 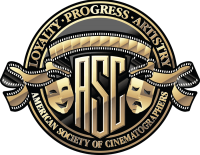 The American Society of Cinematographers is pleased to invite college and university cinema department faculty members to recommend eligible students for consideration in the 2017 ASC Andrew Lesnie Student Heritage Award competition and the 2017 ASC Haskell Wexler Student Documentary Award competition. This announcement was made by ASC President Kees van Oostrum, Student Awards Chair Isidore Mankofsky, ASC and Student Awards Co-Chair David Darby, ASC. The ASC’s Student Awards are designed to inspire the next generation of cinematographers and to help them pursue their dreams. It also celebrates the memory of the Society’s most extraordinary members. Eligible students must be in undergraduate or graduate school or have graduated within the past year. A jury of ASC members will choose the winners. Nominations will be announced on September 6, 2017 and the winners will be revealed at the ASC Student Heritage Award celebration on Saturday, October 14, 2017 at the ASC Clubhouse in Hollywood. Andrew Lesnie, ASC, ACS was a three-time ASC Award nominee for Lord of the Rings: The Fellowship of the Ring (for which he won the Academy Award in 2002), Lord of the Rings: The Return of the King and King Kong. Ever the gentleman, he always expressed deep appreciation for his collaborators and crew. His other credits include frequent collaborator Peter Jackson’s Hobbit trilogy, Babe, The Lovely Bones, Rise of the Planet of the Apes, I Am Legend, The Last Airbender and The Water Diviner. Haskell Wexler, ASC won an Academy Award in 1966 for Who’s Afraid of Virginia Woolf? and a second Oscar in 1976 for Bound for Glory. He received additional nominations for One Flew Over the Cuckoo’s Nest (a nomination shared with Bill Butler, ASC), Matewan and Blaze. In 1969 he wrote, directed and shot Medium Cool, which is studied by film students worldwide for its breakthrough cinéma vérité style. He began his career shooting documentaries and was a passionate documentary filmmaker throughout his lifetime. He was an active member of the ASC Board of Governors for many years. In 1992 Haskell was honored with the ASC Lifetime Achievement Award. Click on the links below to download PDFs of the rules and instructions by which to recommend your best cinematography students for these prestigious awards. If you have any questions, please contact Delphine Figueras at 323-969-4333 ext. 106 or email [email protected]. Here are the rules and entry form for the 2017 ASC Andrew Lesnie Student Heritage Award competition. Here are the rules and entry form for the 2017 ASC Haskell Wexler Student Documentary Award competition. The deadline for all entries is noon, Tuesday, May 9, 2017.